Let Us Improve Your Hearing! 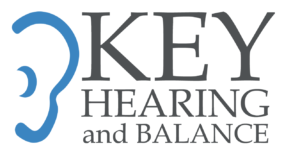 At the Key Hearing Audiology and Balance Clinic, we know how critical communication is to your lifestyle. Hearing is the primary way most people communicate. Through our hearing we enjoy conversation, music, and entertainment. Most importantly, it's how we relate to friends and loved ones. With our Hearing Instruments, you'll be wearing one of the world's most advanced hearing aids; fully automatic, comfortable, and crystal clear! Located in Renton, Washington (across from Valley Medical Center), Key Hearing Audiology Hearing and Balance Clinic uses state of the art audiology and vertigo testing hardware and equipment. Our highly skilled and patient-oriented staff allows allows us to offer the most comprehensive audiology, balance, and hearing disorder services in the Western Washington region. We are committed to matching the right hearing aids to our patient's individual needs regardless of brand or manufacturer. Because Key Hearing is an independent clinic, we can choose from the best state-of-the-art solutions from all top international brands. Key Hearing has been consistently voted "Best in Renton" by the Renton Reporter for its audiology services over the past several years.